Have you ever faced difficulties while writing a title for your blog post? If yes, then this article can help you in writing some awesome and catchy title for your next article. Titles are really important aspect in organic traffic of your blog. If you write creative and catchy title you increase your chances of getting more CTR from Search Engines (Google, Yahoo, Bing etc…). Writing title for search engines sometimes become really headache, you can’t think of something different and creative. This happen with everyone so getting help from online blog title generator tools give you multiple different blog title examples. Blog title generator tools provide you list of catchy titles that you can use for your article. You don’t need to worry about writing blog titles, just add your keyword on blog title generator tool and you will get list of 100+ catchy titles examples to choose from. Title generator tool gives you a list of 700 different & catchy blog titles for free with just a single click. All you need to do here is add keyword & click “Get Headlines” button. This will generate 700 awesome headlines for your specified keyword. Isn’t it amazing? Heading analyzer tool by CoSchedule is an amazing tool for analyzing blog titles. It not just analyzes your title but also give you suggestions where you can improve or make it more effective. It’s a free tool but before using it you need to sign up there. 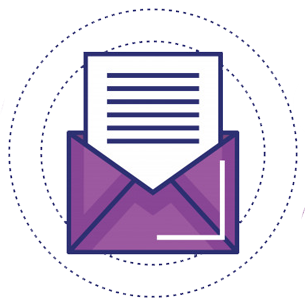 CoSchedule Heading Analyzer tool analyze headings based on the kind of words you have used, length, first & last word in title and keywords. Including emotional, common, uncommon & power words in title will help you get higher CTR from search engines. Portent blog title generator is another amazing tool to get blog title ideas. 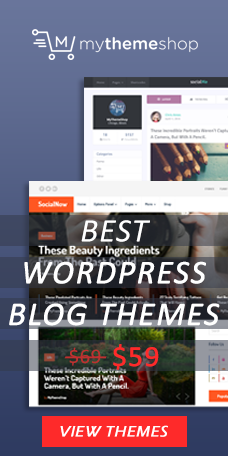 This tool too works the same add keyword and get creative blog titles. By clicking on the refresh button you get another title example. It’s a free tool so you can use it any time when you need to get ideas for you blog post title. This tool can be really useful for you if you are a blogger. 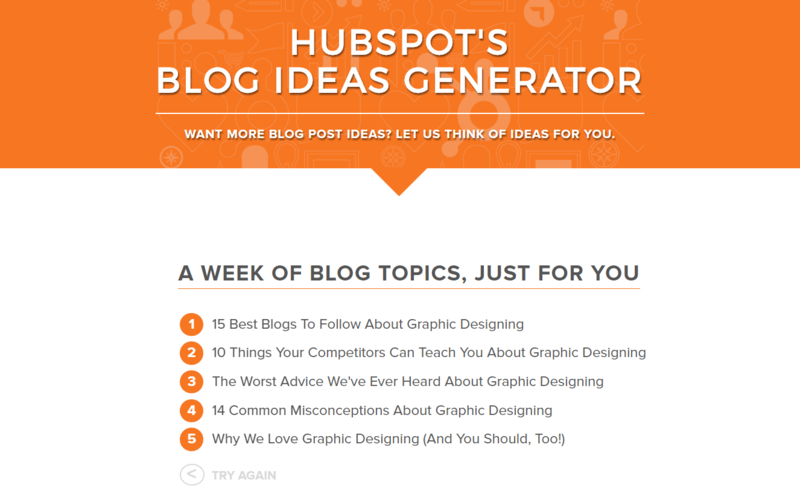 It’s a blog topic generator tool by Hubspot that give you blog topic ideas. Its free tool, add your niche or keyword you want to blog about and this tool will give you a list of ideas you can blog about. This is the simplest and really useful blog topic generator tool in this list. If you are a blogger then you should try this. I am sure you will love it. Impactbnd blog title generator tool can also help you with list of innovative and simple blog title ideas. It works all most the same way other tools in this list works. 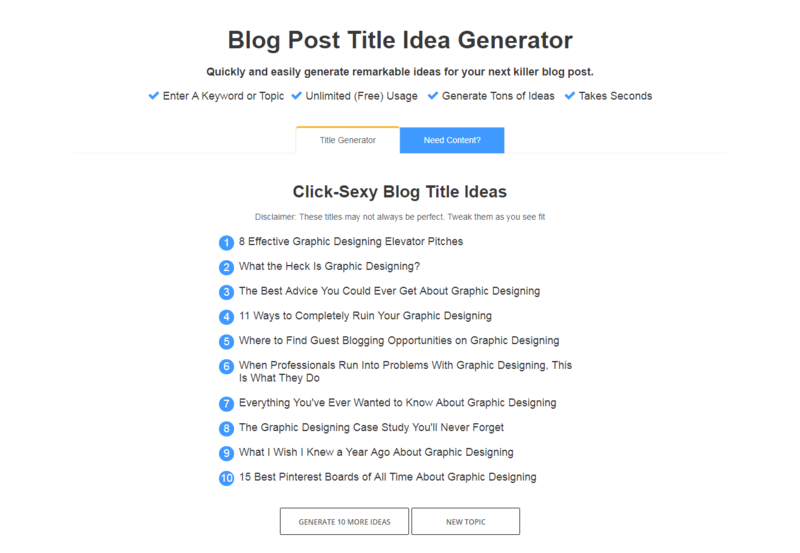 Another blog title idea generator tool by Inbound Now. This tool is really simple; show you random blog title examples like – Do You Make These Common (Your Keyword) Mistake? You just need to add your keyword in it and if you don’t like blog title example then you can generate new by clicking on “Click to Generate Another Title Idea”. Quick and easy tool to generate remarkable blog title ideas for your next blog post for free. It will just take few seconds to get tons of blog title ideas by just adding you keyword. This tool also help you to generate content. If you are struggling to write blog title then here is a tool you should be using. 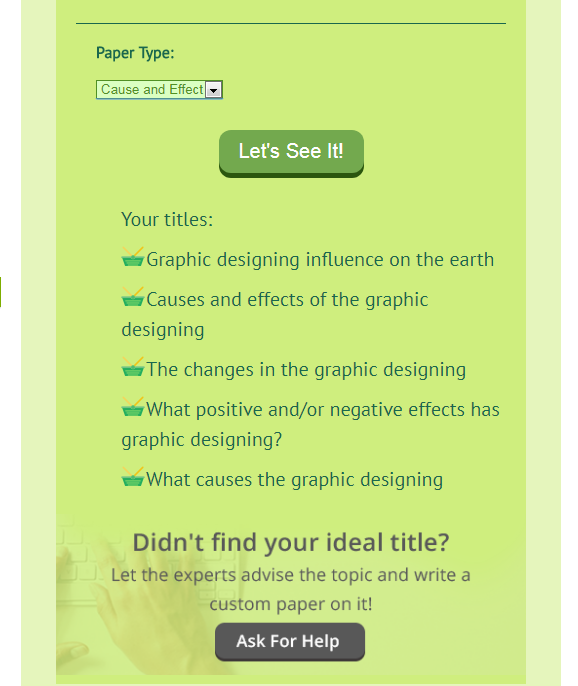 Psydissertation Essay Title Maker is perfect title generator tool. There are 5 key rules that this tool focus on to create creative titles.